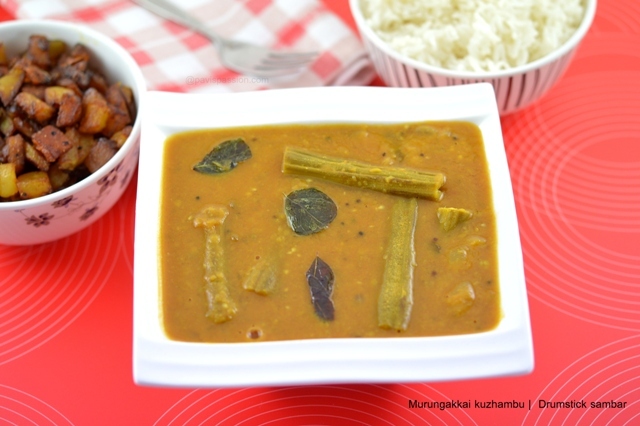 The most popular sambar which can be served in South Indian meals is the Murungaikkai Sambar. Drumstick have lot of nutritional benefits and it is mostly grown as a backyard trees at home in south part of India. 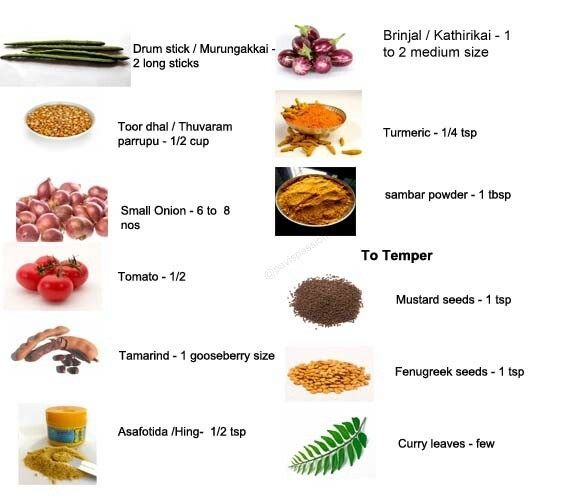 In our family we prepared this sambar in two ways one Drumstick only and another one is anlong with Brinjal.Today i have post the sambar which can be prepared using drum stick and as well as with brinjal also. 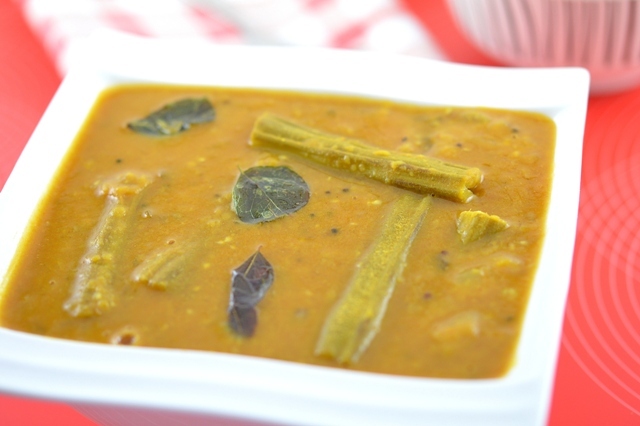 All my North Indian friends are always asking me about how to prepare the drumstick sambar. Today I will explain the method of making in stepwise pictures. Check out this recipe and leaves your valuable comments..
1. Pressure cook the 1/2 cup of Toor dal with turmeric powder and mash the dal well. Soak tamarind on 1/2 cup of water. And extract the juice from it. And keep it aside. 2. In between the above process, Chop the drumstick into long pieces and brinjal into medium size pieces. Chop onion and tomatoes into pieces. Heat 1 tbsp of oil, add the mustard seeda and fenugreek seeds when it sputters, add curry leaves and small onions and saute well. 3. Add the chopped tomatoes and brinjal and saute for a minute. Then add sambar powder and chopped drumstick and saute for a few second. 3. Add enough water to this and add required salt and close the lid and cook until the vegetables are cooked well. 4. When it done then add the tamarind juice to it. Let them to boil for one time.Not boil too much it will spoils the taste. 5. Add the cooked and mashed toor dal and mix well. If water required add and mix well. Boil the sambar well. Serve Hot with Cooked rice and any stir fry of your choice..